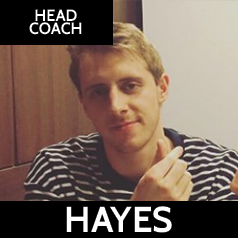 Hello, my name is Elliott Hayes, I have been coaching in Overwatch since early October 2016, over the course of my career I have gained much valuable experience on how to work with effectively with different types of players and teams. Across my two years coaching, every team comes across hardships and tests, each time a new problem requiring a different solution, over time this has made me an effective problem solver. My core values as a coach is for the players to grasp the core concept of Overwatch, Teamwork, the rest will come after.